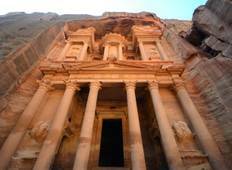 Find a Christmas & New Year trip that explores Middle East. There are 947 tours to choose from, that range in length from 3 days up to 25 days. The most popular month for these tours is December, which has the most tour departures. "Friendly, informative guides, good food, wonderful cruise on the Nile and the monuments..."
"Peter knew so much about the history and was also such a good laugh! Very nice and..."
"Amir was our guide, and absolutely outstanding. Had so much historical and religious..."
"It was a fantastic tour. 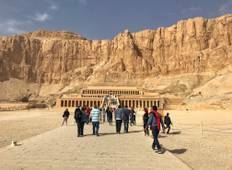 Peter was amazing, he is a wealth of information, infact..."
"We had a wonderful time touring Egypt with our, helpful and really knowledgeable..."